This fall Apple brought us iOS11 and with it new features. A lot of you have asked about the new Files app integration in iA Writer 5. Here is a short look at what you can expect. Creating new files through this browser is currently supported by Dropbox (at the time of writing) and without any doubt, other providers will be following suit. Of course, files from anywhere in iCloud Drive can be accessed, too. 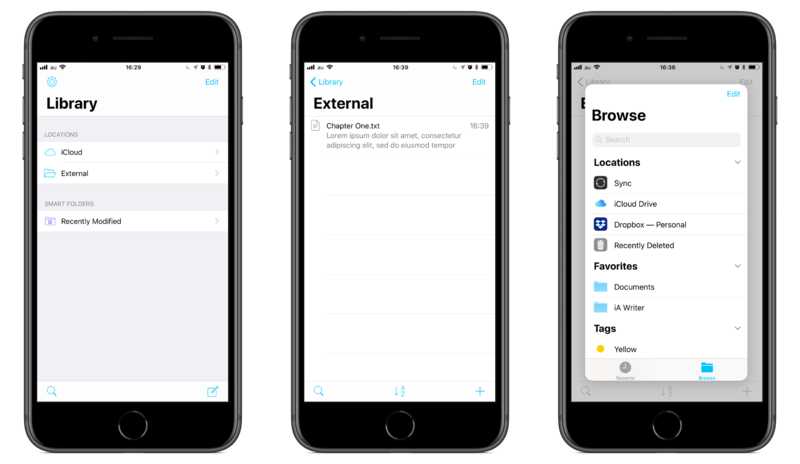 The ability to easily manipulate documents from different storages on iOS is something you have been looking forward to for a long time. When you open a file from elsewhere in iA Writer, while the actual file remains in the app it came from, the file is indexed and a record of it is added to the “External” library location. This means you can easily access it at a later time. And because the file is listed here, you can use Quick Search to find it whenever you want too. 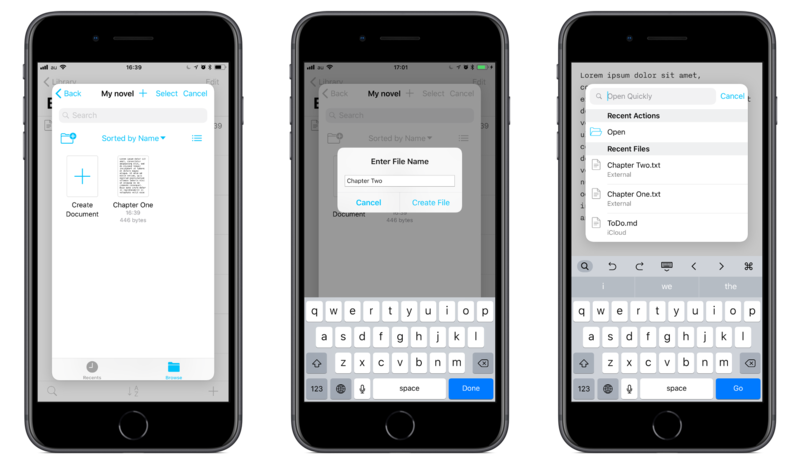 If you’ve ever used Dropbox in iA Writer and longed for the search those iCloud users have access to, you’re going to love iA Writer 5. The legacy Dropbox Sync API will still be available until the end of the year, but since accessing your Dropbox files in the new way gets you fast access through search we’d recommend making the switch even earlier. And when can you get your hands on it? Currently, about 1,000 beta testers are using it. Since it is a big change and we want to make sure that there is no data loss, we are even more careful with this update than usual. We are planning to go for the last round of GM beta testing next week, so the wait for the brand new iA Writer for iOS will not take much longer.